You can chose not to post an announcement and pay $3 via paypal. Co-host get a TOTAL of 5 links and a link back in the HTML Post the announcement for the chance to win a FREE CO-HOST spot! The blogger who draws in the most sign-ups/referrals will win a FREE co-host spot. If the winner has already paid for a spot, their co-host fee with bee refunded! Prizes: Winner #1 will be selected to win a Gift Card of their choice of Paypal OR Amazon. *Cash prize subject to increase. TBD on number of co-host signups and links. 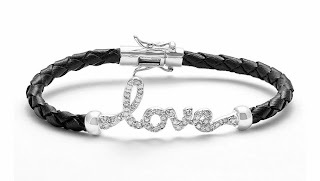 Winner #2 will be selected to win a 1/4 Carat Diamond and Sterling Silver LOVE Bracelet! Disclosure: NO PURCHASE IS NECESSARY to be a part of this giveaway. This promotion is in no way sponsored, endorsed or administered by, or associated with Facebook, pinterest, twitter, PAYPAL or Amazon.